With the first stage of construction completed in the summer of 1993, the Scott Speicher Tennis Center at the Donald Loucks Courts opened its gates to the public for the first time at a Children’s Miracle Network charity tournament and immediately earned national attention. The United States Tennis Association (USTA) presented the facility with its prestigious “Top Notch” award” in 1994. 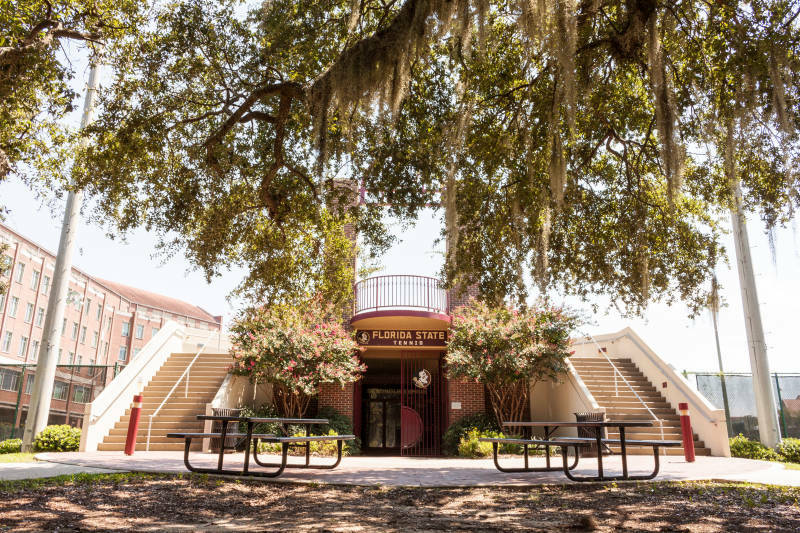 Since then, many successful tournaments including the 1996 NCAA Women’s Championships and 2007-2010 NCAA Regionals have graced the courts at one of Florida State University’s premier athletic facilities. 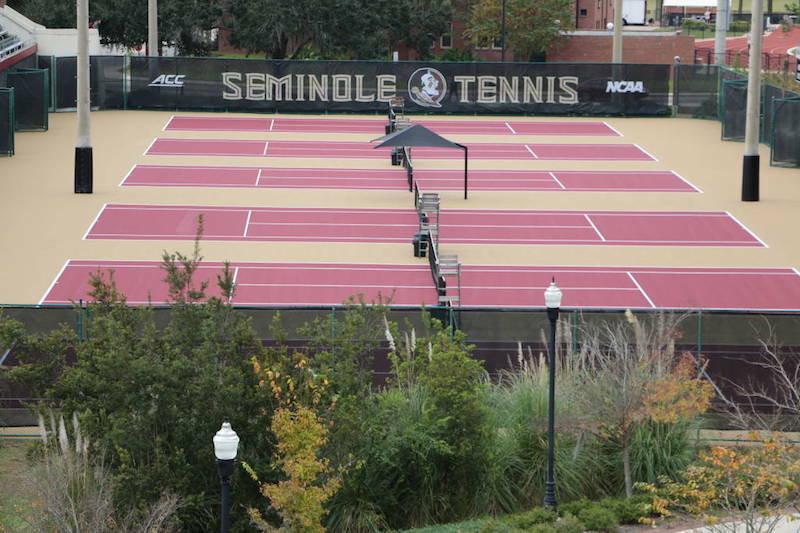 Costing $1.2 million to build and then another $800,000 for recent additions, Florida State’s Scott Speicher Tennis Center has become an example of the increasing dedication and commitment the University has to all of its 20 varsity athletic programs. The Scott Speicher Tennis Center houses 12 lighted hard courts, over 1,000 court-level seats, coaching offices, men’s and women’s locker rooms, equipment and storage rooms, a team lounge and a public address system. In 2015, the complex added booster seating over Courts 1 & 2 with new black awnings to cover fans. Underneath the grandstands, a new paint job and signage welcomes players and fans to the complex. In 2018, the latest addition was added to the Speicher Tennis Center. A memorial, located at the entrance of the tennis facility named after him in 1993, features a bronze pilot’s helmet and eventually will include a bronze flight jacket and hat similar to what Speicher would have worn. Through its 25-year existence, the Donald Loucks Courts at the Scott Speicher Tennis Center has served as the home courts for all Florida State men’s and women’s home dual matches, Seminole Fall Classics, City of Tallahassee tennis championships, various USTA regional and zonal tournaments, the 1994 and 1995 Men’s Intercollegiate tournament and the annual Children’s Miracle Network Charity Invitational benefiting Shands Hospital in Gainesville. The tennis center has also been the site for the ITA Summer Circuit for men’s and women’s tennis in which high school and collegiate athletes participate in singles and doubles matches.